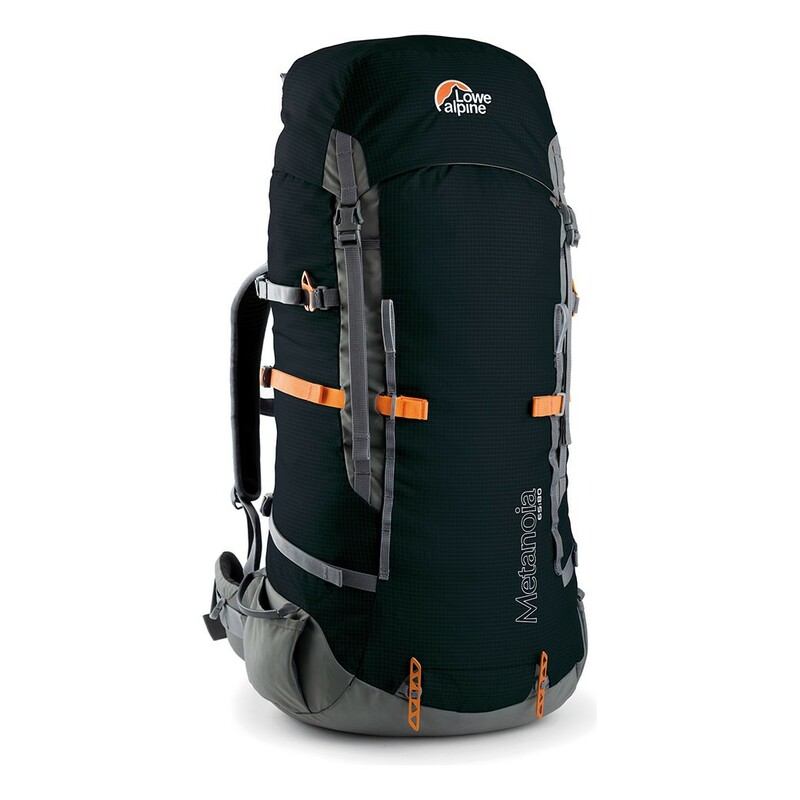 The Metanoia is the ultimate multi-day expedition pack, designed as a celebration of Lowe Alpine founder Jeff Lowe's iconic and un-repeated route on the Eiger's Nordwand. Built to withstand extreme multi-day expeditions in the greater ranges, the Metanoia is made using a light-weight yet super-durable TriShield? Grid fabric which massively increases tear-resistance and durability. Designed to carry 25+ kilo loads, this pack is stacked with expedition features including the unique double HeadLocker axe attachment, our new WebCatcher system designed to attach and hold skis and poles securely, and an AdaptiveFit? harness which makes sure you get the best individualised fit for maximum carrying comfort. 65 + 15lt | 77 x 37 x 36cm | 1.70kg NOTE: Due to this item's size/ weight, there will be extra fees if you select a faster shipping method than UPS Ground in which we we will contact you before shipping your item(s) with a shipping cost quote.